One of the favorite comics book characters of the team of artists and editors of our site is Superman. 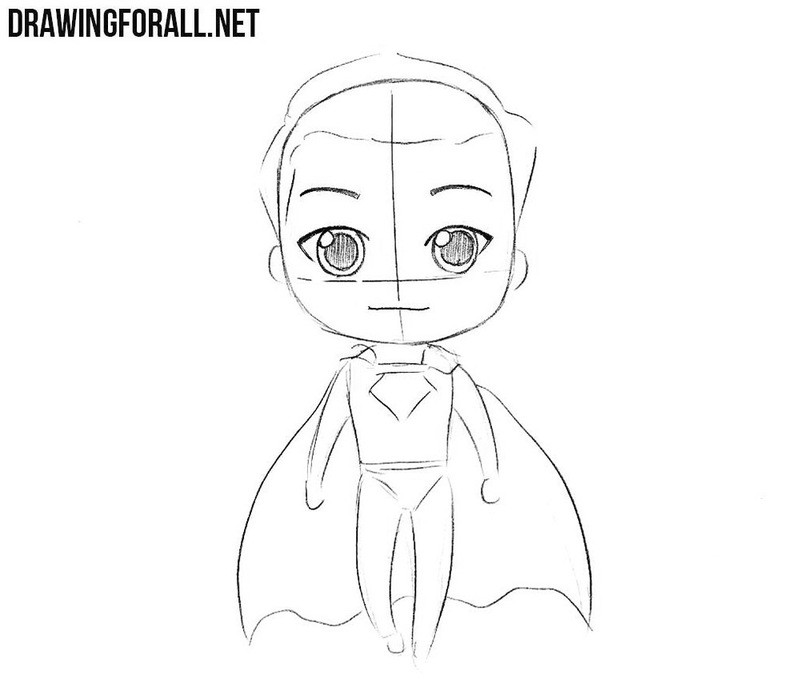 In the previous drawing lessons, we already drew Superman and the Superman logo, and today we want to show you how to draw chibi Superman for beginners. 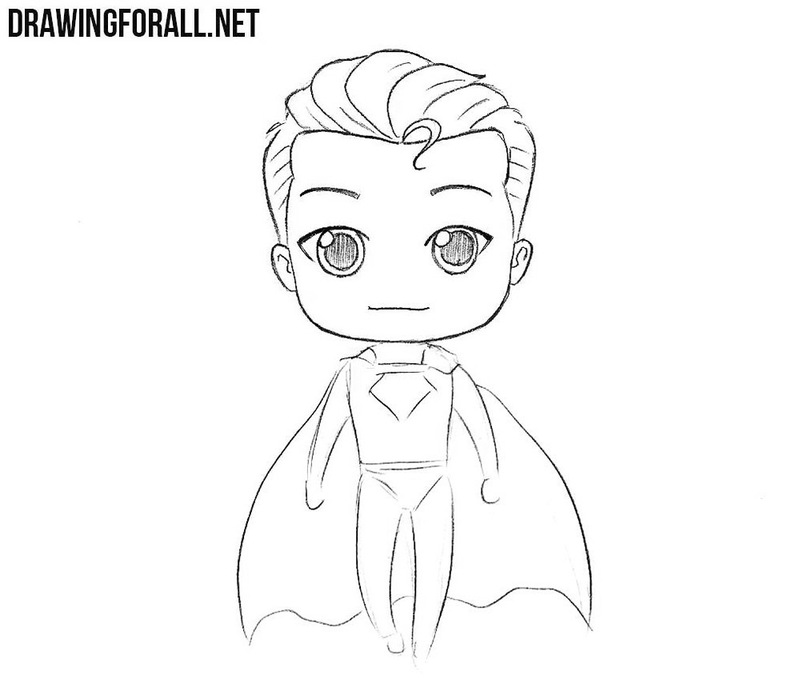 Let’s start with the head of chibi Superman, drawing it as a circle or a rounded square. Next, draw two lines inside as in our example. 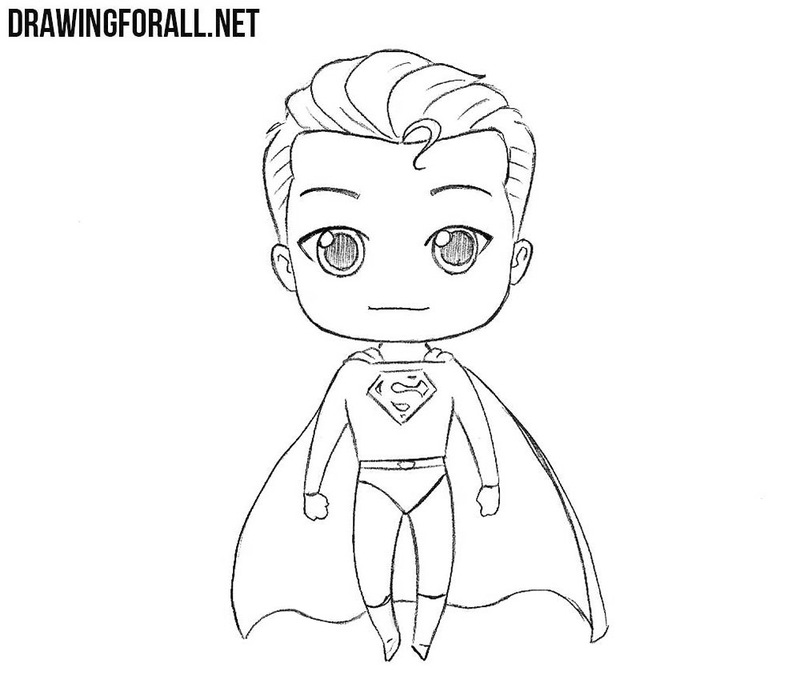 Now we move a little lower and draw out the shape of the torso and limbs of chibi Superman. 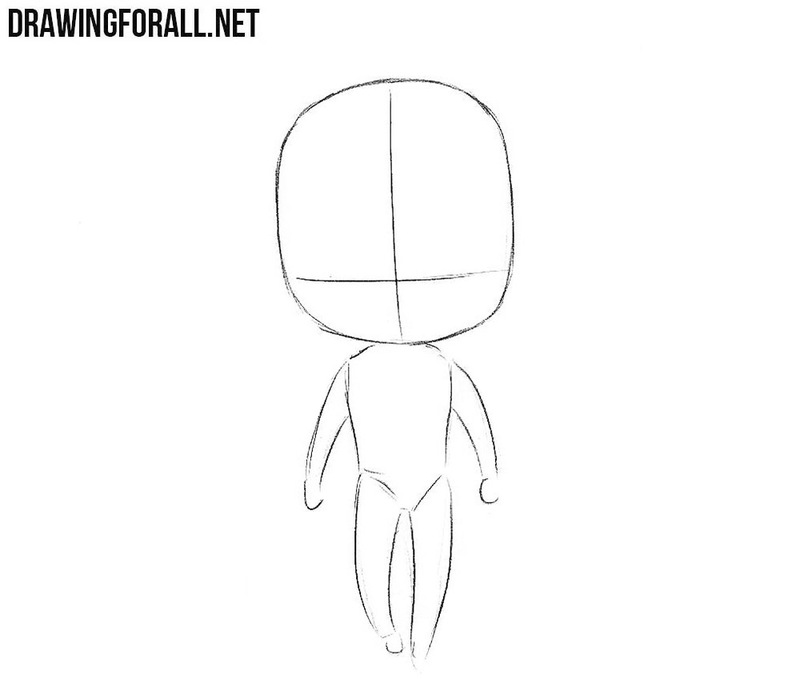 Orienting the intersecting lines on the head, draw large eyes, eyebrows and mouth. 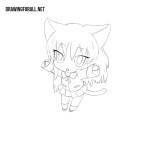 Then draw the hair and ears. 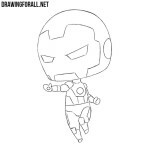 Sketch out the outlines of the costume. Using dense lines draw the eye, eyebrows and nose. Hatch the eyes leaving the glare inside the pupils. 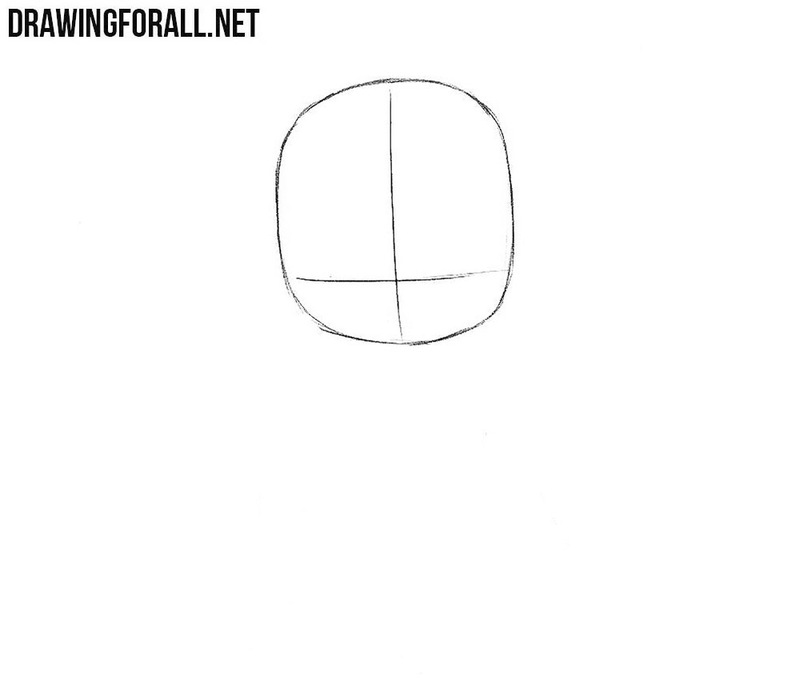 Draw the shape of the face (it should be rounded). 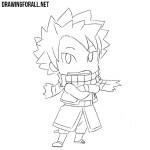 Then draw the ears and carefully draw out the hair. 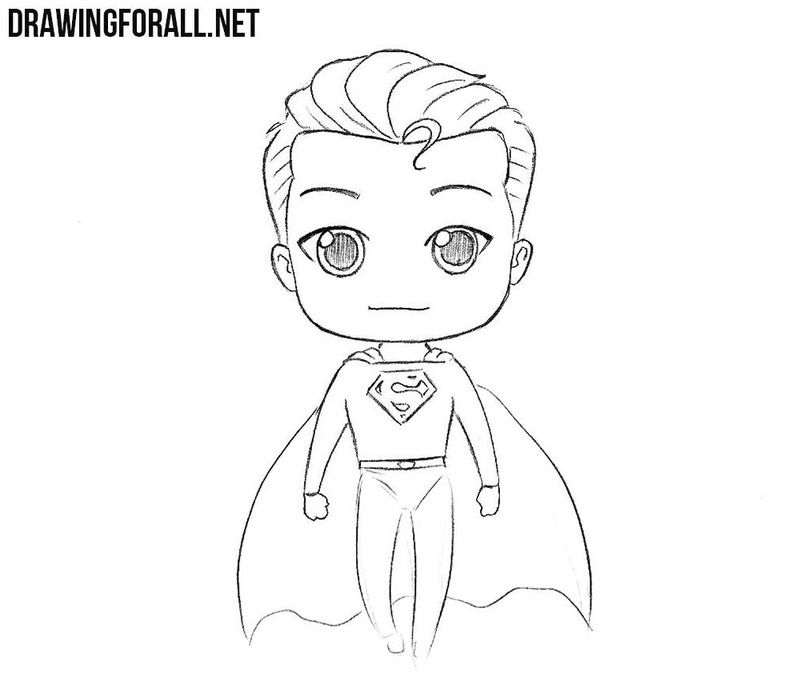 Now draw the torso and hands of our chibi Superman. 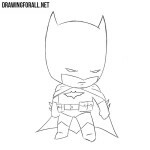 Outline the costume lines and draw the Superman logo on the chest. The last step of the lesson about how to draw chibi Superman in which we draw the long cape. 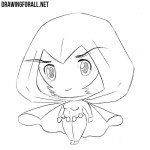 We love comic book characters and chibi-style drawings, and so we want to create many more different lessons about superheroes and supervillains drawn in chibi style. 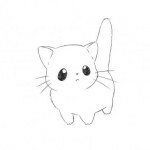 In order for us to draw your favorite character from comics, write about it in the comments to this article or in our social networks.